Every year, the number of children receiving services for Autism in Oregon schools increases. 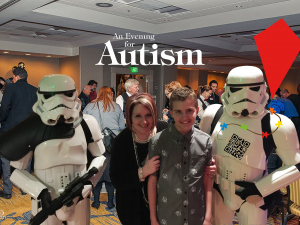 This information is tracked by the Oregon Department of Education and reported nationally to the U.S. Department of Education as part of the Individuals with Disabilities in Education Act. 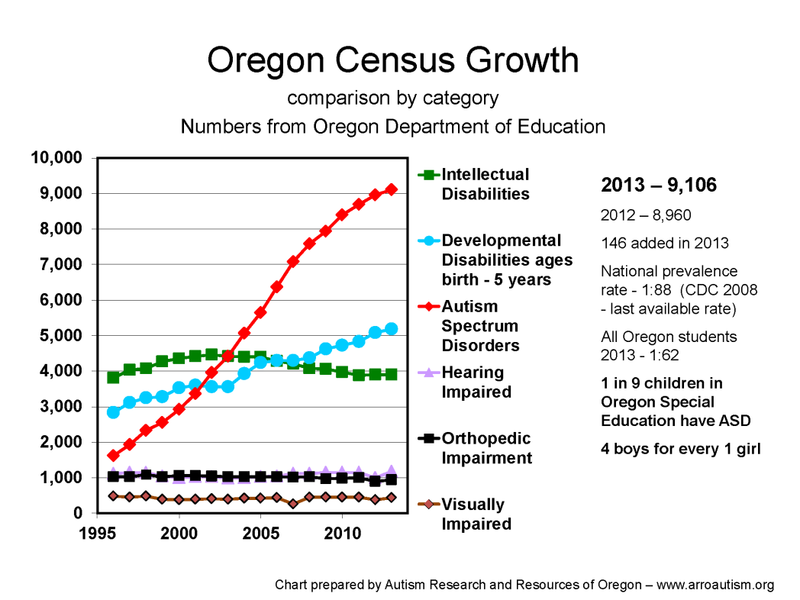 The image below (and attached, Oregon Autism census chart 2013 3-16-2014) shows the rate of change in Autism services in Oregon public schools relative to other Special Needs. For the most recent year that information is available, more than 9,106 Oregon Children (ages 3-21) are receiving services for Autism in public schools. This entry was posted in Census and Statistics. Bookmark the permalink.